Detroit-raised Gumball bad boy Xzibit has teamed up with leading female-fronted metal band WITHIN TEMPTATION for their latest single "And We Run". Surprised? Has L.A.-based rap legend Xzibit become a metal-studded head banger?! See for yourself in the band's brand new video for the song, directed by Tim Smit. Shot recently in Amsterdam, Xzibit spent a whole day wired up, running, jumping, and even breaking down walls with his bare hands for his spectacular role. 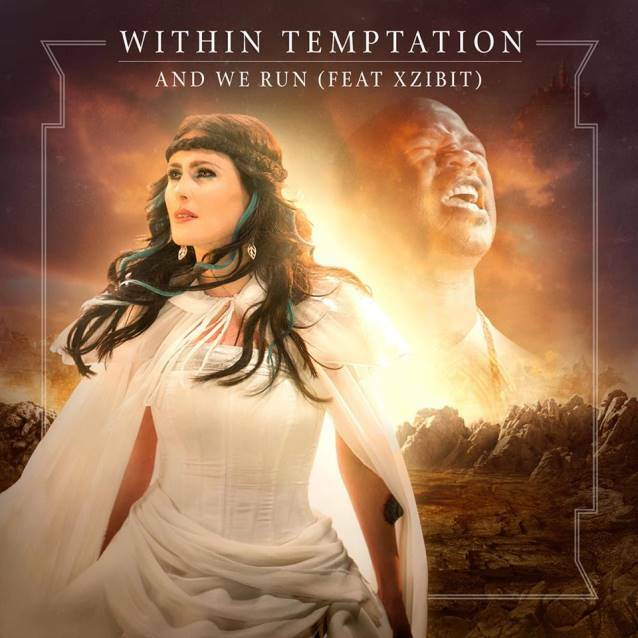 The collaboration between WITHIN TEMPTATION and Xzibit is without doubt one of the most talked about metal songs of the year. When news first broke of the very unexpected pairing, die-hard WITHIN TEMPTATION fans across the globe revolted, leaving thousands of comments in online forums, concerned that their favorite band had made a terrible musical decision. However, as soon as the band's new album, "Hydra", album was released, and those fans could hear the much debated song, the record crashed into the Top Ten in every major market, and brought with it, a storm of applause for "And We Run". Performing the song live turned a sold out Wembley Arena crowd into a swirling maelstrom during their current "Hydra" world tour. It is this overwhelming response which has led the band to choose "And We Run" as their next single to be released May 27 as a six-track EP bundle including alternative and dance mixes of "And We Run" plus the unreleased demo tracks "Living On Fire", "Keep On Breathing" and "One Of These Days". 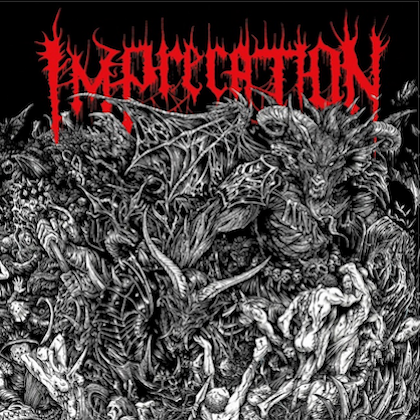 Xzibit comments: "When I heard about the enquiry from WITHIN TEMPTATION to do a track together and Googled them, I was surprised to say the least. Once I had spoken to the band and heard the song, though, it all made total sense and it was fun to discover new ground outside of our genres!" Adds WITHIN TEMPTATION guitarist and songwriter Robert Westerholt: "Xzibit is amazing. "'And We Run' song is about how you've got to live your life now. He's rapping at full force on this song, it's really heavy." Singer Sharon Den Adel says: "Xzibit brings a new element to our music that we've never had before! It's a new crossover and we love it!" "Hydra" sold around 15,000 copies in the United States in its first week of release to debut at position No. 16 on The Billboard 200 chart. In Europe, "Hydra" debuted at No. 1 in The Netherlands and the Czech Republic. It also secured the No. 2 position in Switzerland and Finland, No. 4 in Germany, #6 in the U.K. — the band's highest chart entry in that territory to date — and #9 in France. "Hydra" was released in North America on February 4 via Nuclear Blast Entertainment, the new U.S. partnership between Nuclear Blast owner Markus Staiger and former Roadrunner Records A&R chief Monte Conner. The album was made available in several luxury formats. The cover artwork was created by Romano Molenaar ("X-Men", "Batman", "The Unforgiving"). The digital premium album, complete with digi-booklet, was made available on iTunes and includes 18 audio tracks and a music video. 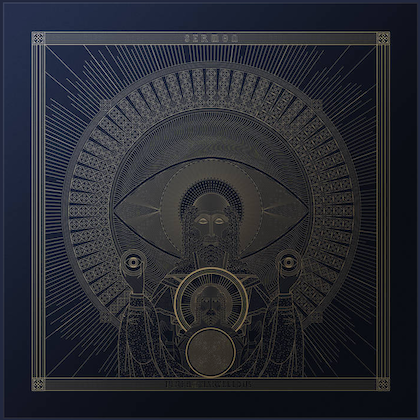 The digital premium album features bonus "Evolution Versions" of four new songs, which contain audio commentary from guitarist Robert Westerholt and singer Sharon Den Adel and give you unique access to the development of the songs, their lyrical inspiration and the sound of the initial demos and vocals.